Thousands of anti-greed bill protestors gathered at Tap Seac Square before the rally started. Photo from All About Macau's Facebook page. Non-commercial use. 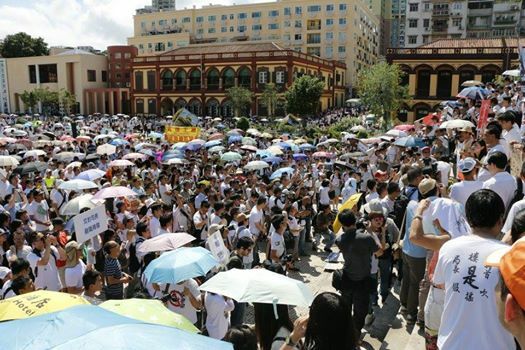 More than 20,000 Macau residents rallied on Sunday, 25 May, 2014, against a bill that would compensate high-ranking officials after they leave office and exempt the head of government from criminal liability during his or her term. Macau, a special administrative region of China, has a population of about 500,000. 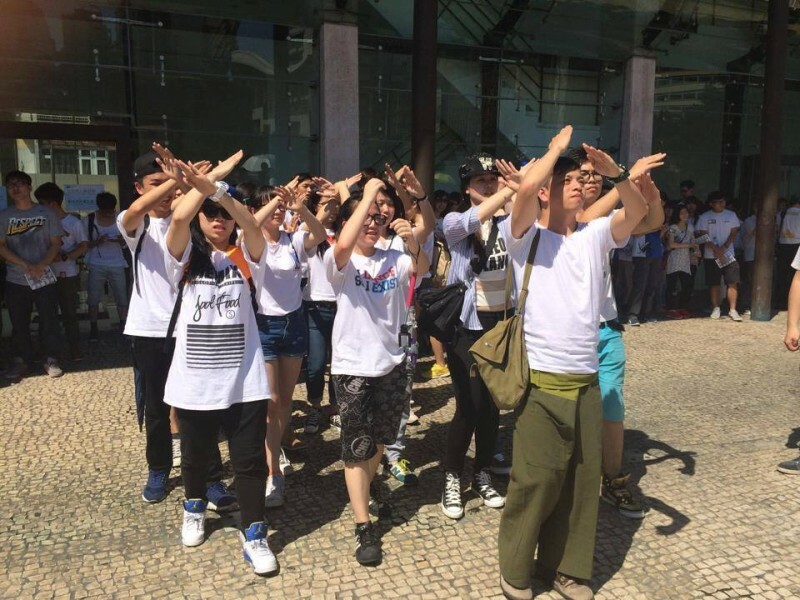 Protesters constituted 4 percent of the total population, the largest demonstrations since the former Portuguese colony was handed over to China's control in 1999. 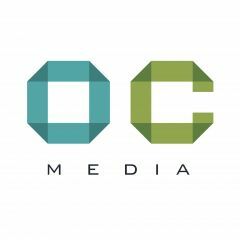 The public outrage has surprised many, given opposition parties are rather weak in the casino city and major mainstream media outlets are pro-government mouthpieces and sponsored by the government. The bill, which is expected to be passed on Tuesday, 27 May, 2014, was drafted by the Macau Secretary for Administration and Justice a month ago and was proposed without public consultation. 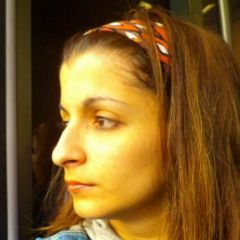 It will grant the chief executive, as the head of government is called, immunity from criminal prosecution while in office. It also ensures that the outgoing chief executive, as well as his principal officials-designate, will continue receiving a monthly payment equivalent to 70 percent of his or her monthly salary. The secretary claimed that the bill is to attract business elites to join the government. 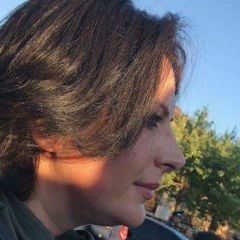 The selection of new chief executive will happen at the end of 2014, and after that major officials will also leave their positions. Many believe that the bill is tailor-made for outgoing Chief Executive Fernando Chui Sai-on and top officials because they will be the ones to immediately enjoy the new privileges. Even though the bill is highly controversial, the administration has been pushing the legislative council to pass it. The majority of lawmakers are either elected indirectly through functional groups or appointed by the chief executive. 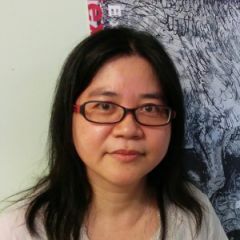 Ms. Lam believes that the chief executive who will enjoy the outgoing compensation is “robbing Macau citizens” and making himself an enemy of the people. Many expressed their anger through banners and placards while at the protest. 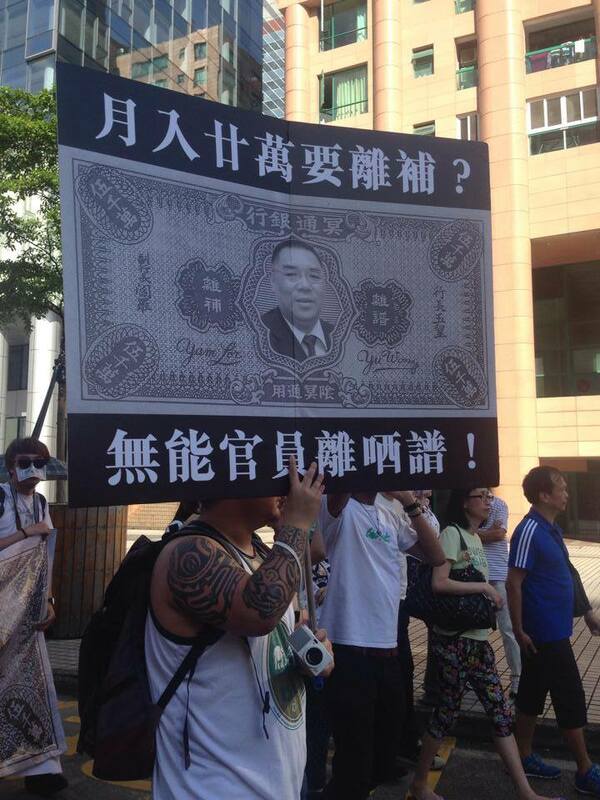 Young people say no to the “Bill of Greed.” Photo from All About Macau's Facebook page. Non-commercial use. 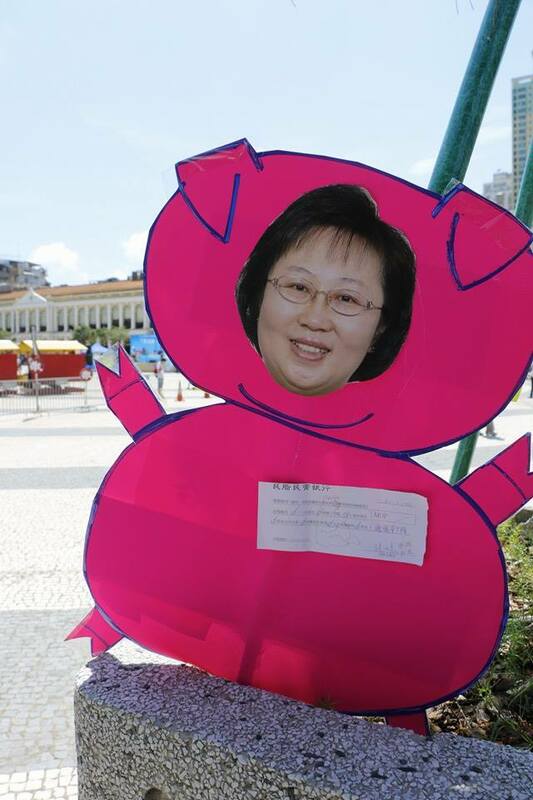 Protestors stick the face of Secretary for Administration and Justice Florinda Chan Lai-man onto a pig-shaped placard. Chan drafted the bill. Photo from All About Macau's Facebook page. Non-commercial use. 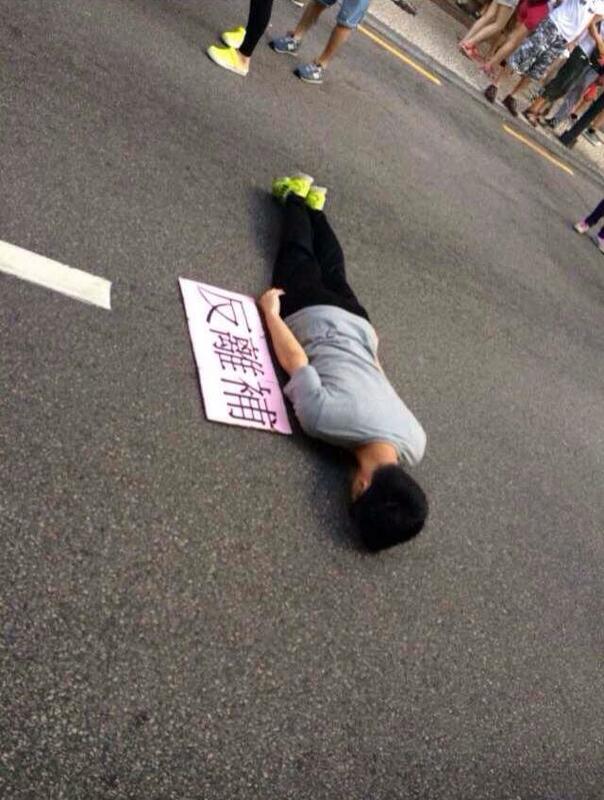 A young man assumes the so-called PK body position, otherwise known as planking, against the bill during the rally. The posture is meant to show absurdity and is used among youth in East Asia. Photo posted by Facebook user Ar B Cheong. Non-commercial use. Soon after the rally, a number of pro-government lawmakers and executive councilors told the press that their would propose to the chair of the Legislative Council to form a committee to further review the bill. At the same time, organizer of the rally “Macau Conscience” said they would take further action if the legislature passes the bill on Tuesday. 20,000/50,000: Don’t you mean 40 percent of the whole population? Look again. It’s 500k. So 4% is correct.